The last of the season 2017 hubbard squash that I purchased at DeCastro’s Farm Stand in Portsmouth is still intact (which shows how cold my cellar is!) and hubbard squash bowls are being created. 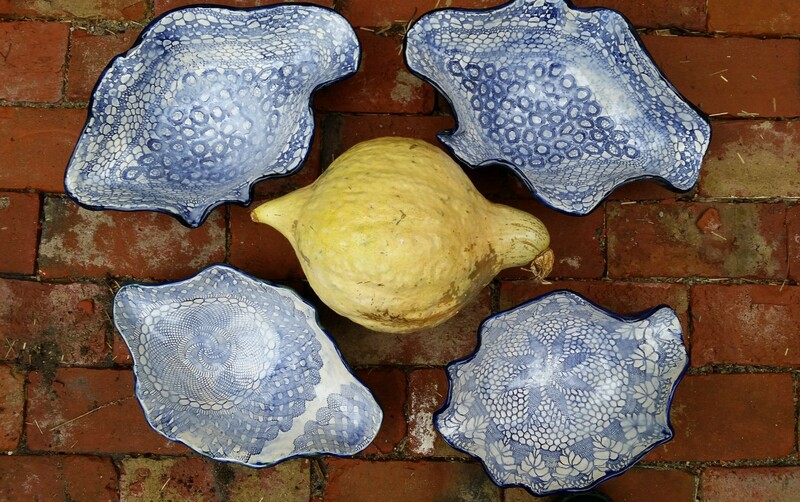 The squash is used as a hump mold for a slab of clay, and the clay’s surface takes on the squash skin’s bumpy and pitted characteristics. 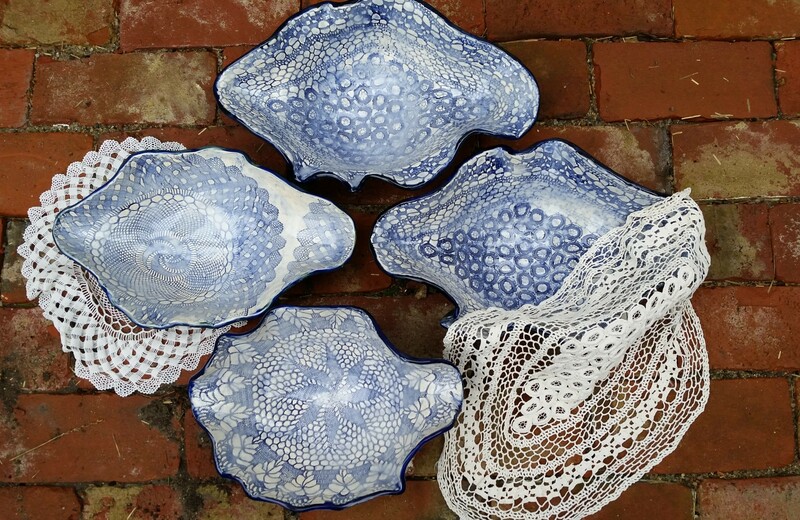 The bowl has evolved into a “vintage model”–vintage lace is pressed into one side of the clay before it is draped over the squash. 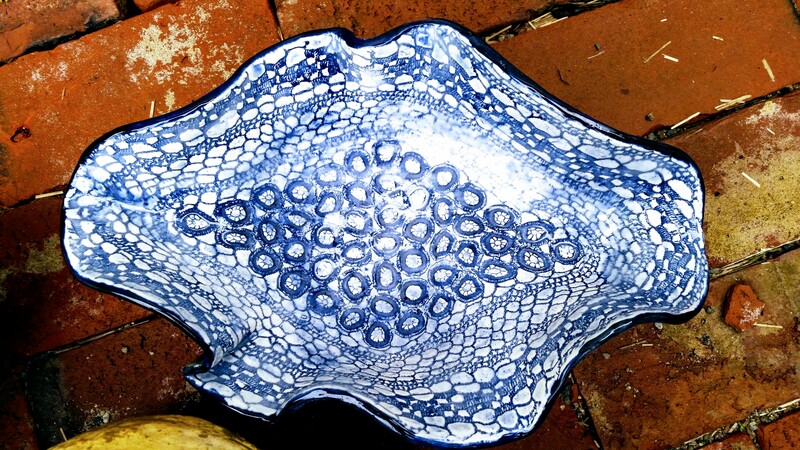 The bowl inside is glazed with cobalt wash and clear glaze to highlight the lace imprint and the outside is either glazed in royal blue or a combination of blue and green, which give it a mottled organic look.